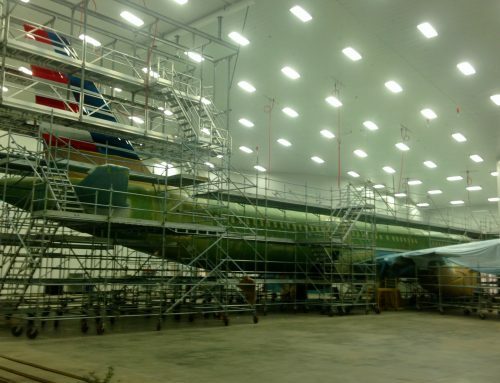 A specially engineered scaffold design provided painters safe access to the hard to reach spots on the Airbus 320. 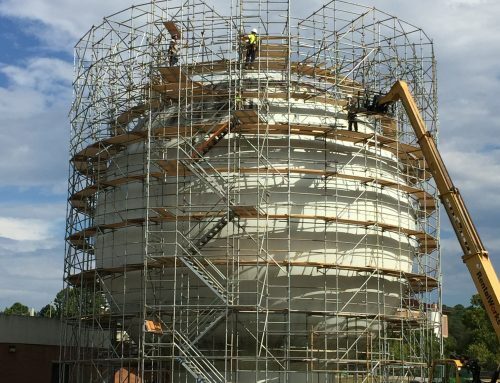 Engineered scaffold was designed so that painters could safely access every square inch of the round tank to clean and paint the exterior. 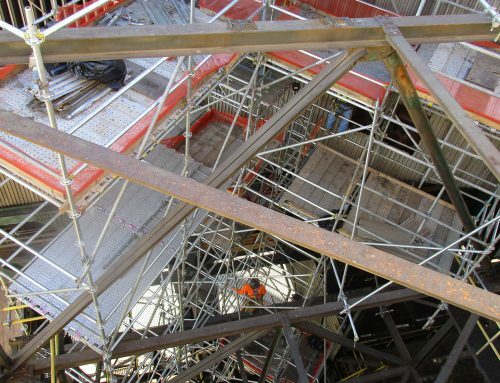 This scaffold supplied construction crews with access just below the "new" mezzanine. 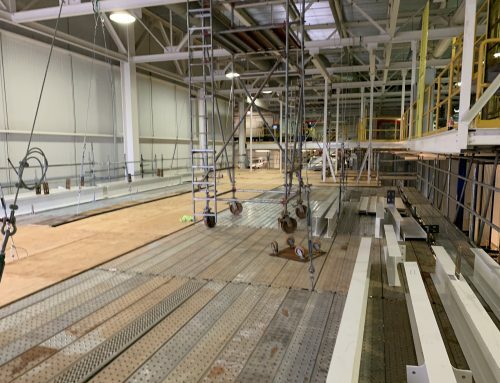 The engineered design called for 28 ft trusses to span over automotive work space. 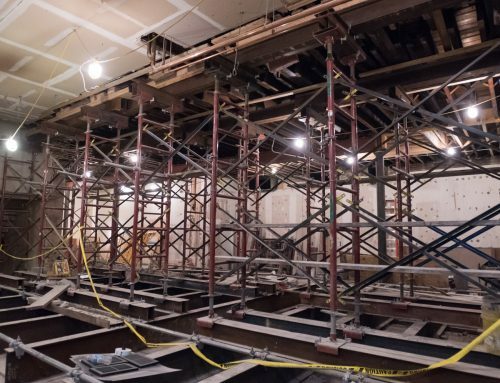 The scaffold was anchored to the wall and from above through the use of wire ropes. 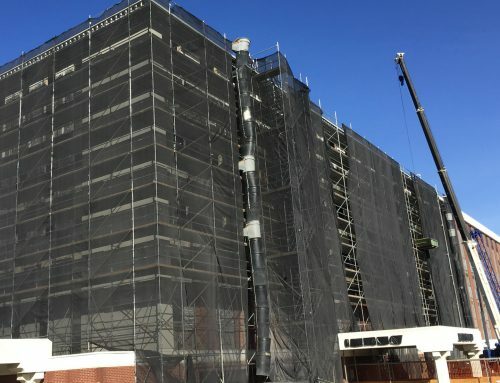 Provided Swing Stages, stair towers for access to new construction, and a pedestrian canopy. Provided ER and ambulance with Drive Thru Canopy, Shoring for concrete removal, and provided access for exterior demolition. 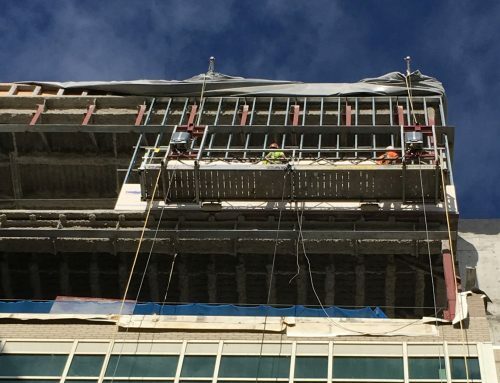 We provided supported scaffold so that the demolition crew was able to demo from the top to the bottom.